Well, another year of buying and selling has passed us by – and what a year it’s been! The new year brings with it time to reflect on the past twelve months and see what the future holds for local Calgary and Canadian real estate markets. 2018 was a slow year for real estate, with the Alberta market so dependent on oil prices and the success of the oil and gas industry. Across the country, we did see strange spikes in housing prices, with London up 17 per cent, Chilliwack and Windsor up 13 per cent and Charlottetown up 11 per cent. 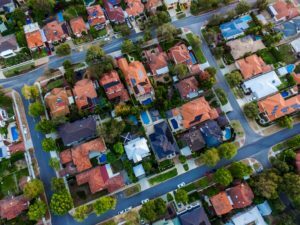 Calgary, however, saw a modest 1 per cent increase in average residential home sales from 2017 to 2018 and experts forecast a 1.7 per cent increase in overall sales for the 2019 year. Calgary saw prices slowly increase throughout 2017 and begin to stabilize in 2018. This pattern is expected to continue as interest rates have risen in the province, affecting the buyer’s ability to afford a mortgage. In 2018, only 1/3 of Canadianssaid that the higher interest rates did not affect their decision to take on a mortgage; however, this is expected to rise throughout 2019 as citizens budget for the new year. Most real estate experts predict this rising interest rate will deter buyers from purchasing new property in the coming months. According to the 2019 Housing Market Outlook Report from REMAX, typical first-time buyers are forecast to be young couples and young families seeking condominiums in the $150,000 – 200,000 range. However, it is actually the single millennials, retirees and downsizers that are driving the local market, purchasing two bedroom condos in the $300,000+ range. This trend is expected to continue throughout 2019 until oil prices and the economy begin to fluctuate once again. As mentioned, the market in Calgary has remained fairly stable due to the lack of activity in the oil and gas industry. However, this is subject to change pending the decisions made about future pipelines and the unpredictable fluctuations in oil and gas prices. Now, there has been an increase in mixed-development construction throughout the past year, turning older areas into new, trendy shopping centres, hosting a mixture of retail, residential and commercial. There is hope that the slow economy will pick up in the new year, however, only time will tell. With a lack of economic factors driving the demand in Calgary, the 2019 forecast is up in the air. Real estate experts do not expect a major change in the current housing market until there are decisions made based on oil and gas policies and general economic movement. However, this could all change in a heartbeat if the pipeline gets approved, spiking economic activity instantaneously. Until this happens, real estate experts say the housing market will depend on first-time homeowners to drive demand – for now.